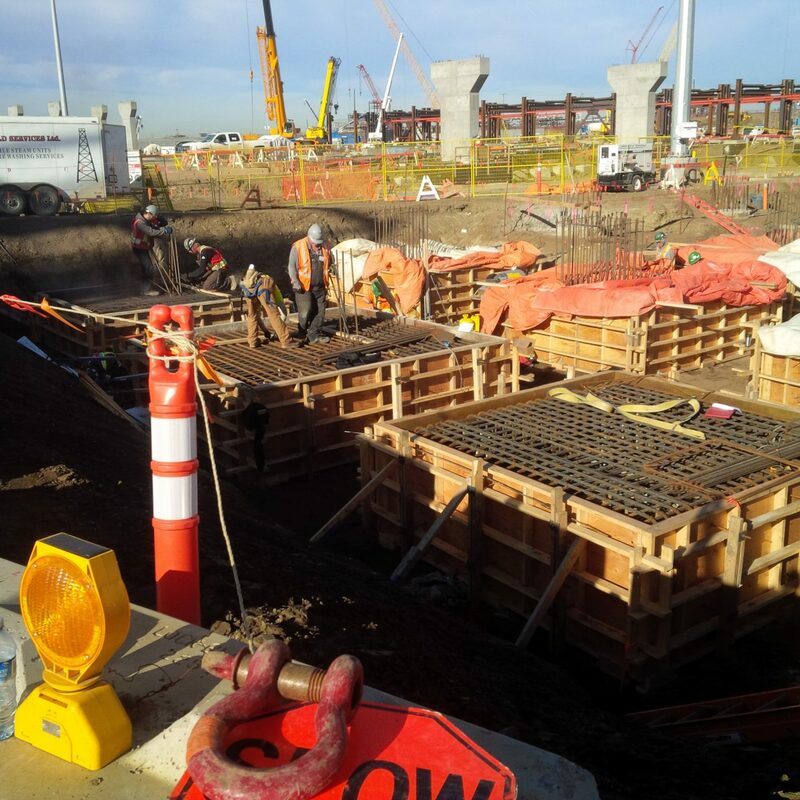 Scope of Work: Construction of a concrete foundation for a pump-house included large raft slabs and tall walls to provide two wells to service the pumps which supply the refinery with its process water needs, including various outfall and control structures for the ponds. 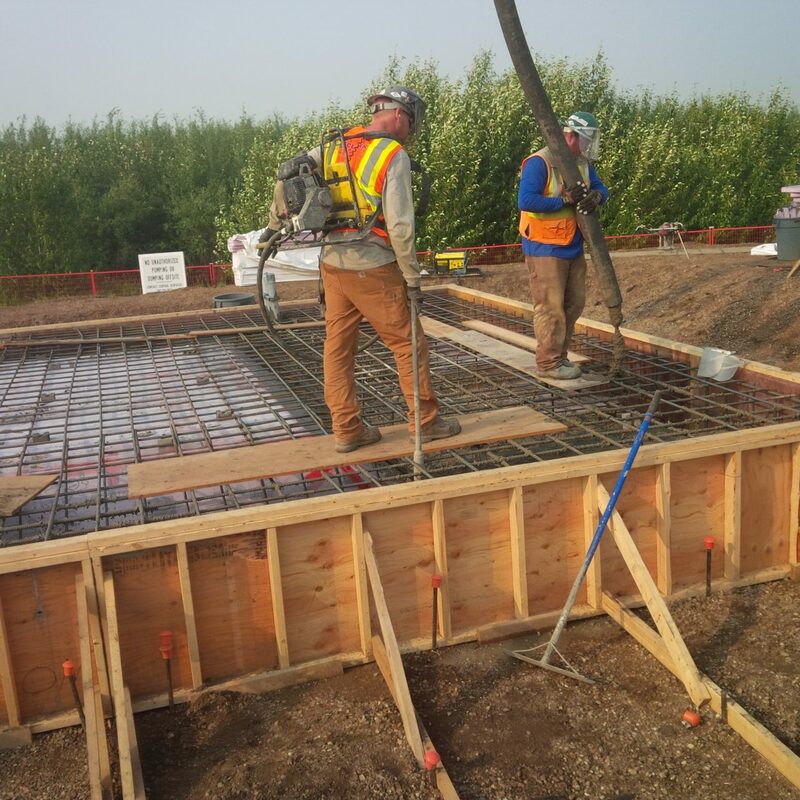 Total concrete poured was 660 m3. 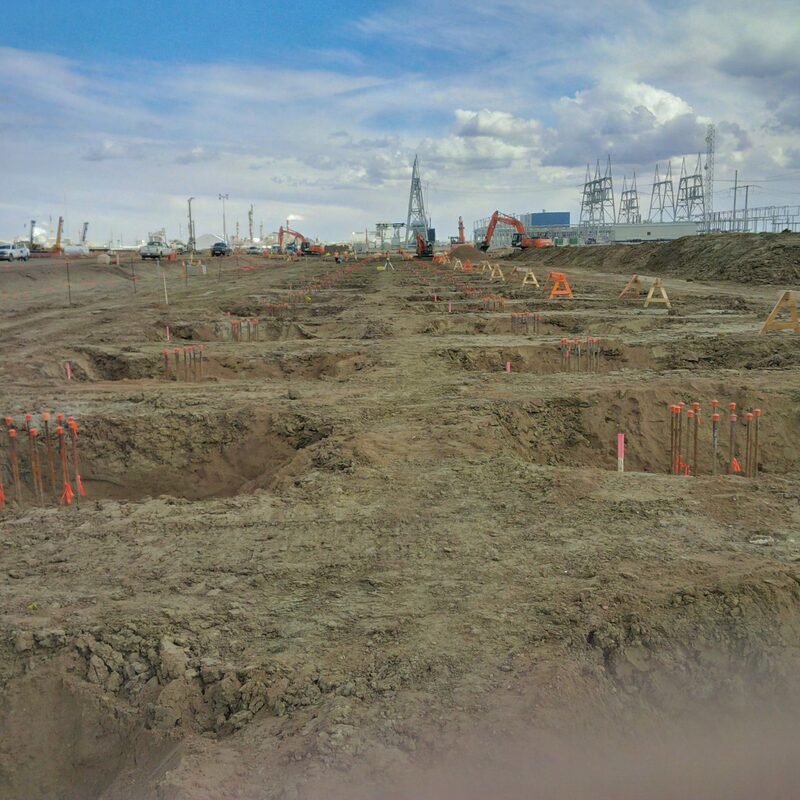 Work across the Unit 80 and 90 pipe racks that included the construction of over 1200 concrete structures throughout the refinery site. Structures varied from simple round and square caps, to larger vessel foundations, flare anchor blocks, and slab on grades of varying sizes. 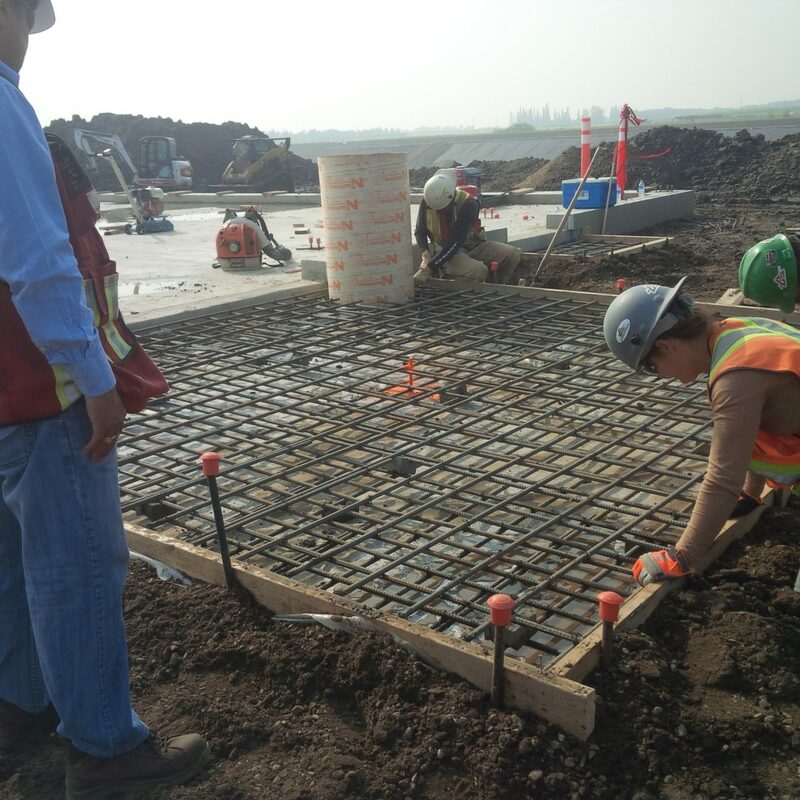 With a peak concrete crew of over 50 people, work supported the tight installation schedule of pipe rack super modules. A total of over 3500m3 of concrete was poured for this contract.